Blake Advisory Pte. Ltd. is pleased to announce that Dr. Martin A. Blake, Global Sustainability Strategist and Professor of Sustainable Business Development, has recently been named one of the Top 100 Global Sustainability Leaders of 2012, an honour he was also awarded in 2011 and shares with many of his well-deserving peers. Recipients were selected by Sustain Ability Showcase Asia and ABC Carbon from among nominations and recommendations emanating from six continents. Honourees include Nobel Prize winners, scientists, architects, designers, artists and CSOs/CEOs of international businesses. Dr. Blake is a sustainability expert and visionary strategist in the vanguard of the sustainable development movement. He is internationally recognised as having designed and deployed one of the most successful energy conservation programmes in the world, saving millions of pounds annually and winning multiple national and international awards. 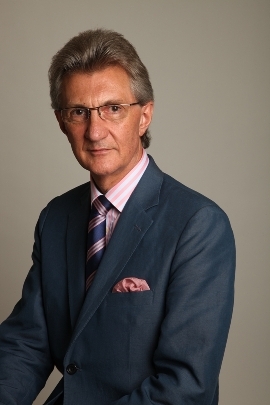 Dr. Blake’s own exemplary leadership role is reflected in his working portfolio of board directorships, advisory roles and keynote speaking engagements encompassing Asia, Australia, Canada, the USA and Europe. He is the owner of Singapore-based Blake Advisory, the Founder and Chair of UK-based Carbon Zero Solutions, Director of Sustainable Development at IndustryRE (UK), a Non-Executive Director of Sabien Technology (UK), Ecologic Transportation (USA), and Amida Recruitment (UK), as well as a Strategic Advisor to the Boards of CarbonSystems (Australia), MOSS (Models of Success and Sustainability, Australia), The Green Asia Group (Singapore), and The Upcycle the Gyres Society (Canada). He also chairs and advises a multitude of strategic groups, all focused on the development and deployment of energy efficient infrastructure. As such, Dr. Blake is at the forefront of a generation of change agents, leading by example, who know that profitable business practice is enhanced by a more intelligent use of natural resources to create resilient businesses for the 21st century. Rikvin is delighted to congratulate Dr. Martin A. Blake, an esteemed client of Rikvin, for making it in the Top 100 Global Sustainability Leaders list for the second year running. “We would like to applaud Martin for his tenacity and efforts in conservation as well as sustainability. We fully support Martin’s endeavors and look forward to Blake Advisory’s continued success and growing influence in Asia,” commented Mr. Satish Bakhda, Head of Operations at Rikvin. Blake Advisory is owned and operated by Dr. Martin A. Blake, Top 100 Global Sustainability Leader and award-winning energy conservation strategist. 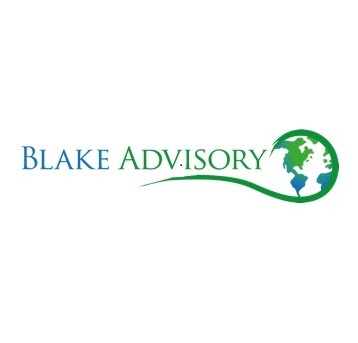 Based in Singapore, Blake Advisory is the legal entity through which Dr. Blake provides international board level advice and leadership in sustainability and financial intermediary services to the clean-tech industry. Specialties include: Strategic Leadership & Advisory Services, Brokerage, Global Corporate Sustainability, Board Level Engagement, Strategic Change Management, Cost Reduction Strategies & Brand-building, Corporate Social Responsibility, International Networking, Island Sustainability. For more information visit www.martinblake.com.